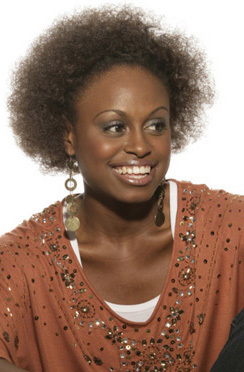 Christian recording artist Ayiesha Woods was born in Long Island, New York, on July 2, 1979, but grew up in a number of locales, including Florida, Georgia, Texas, Hawaii, and Bermuda, which no doubt contributed to the Caribbean and dancehall feel in her music. Other influences include Commissioned, Fred Hammond, Stevie Wonder, Ella Fitzgerald, Lauryn Hill, and India Arie. Ayiesha strives to be sincerely transparent in her own writing, to not only make music, but to move her listeners. Returning to what matters most is the message she hopes will penetrate the ears and hearts of her listeners with the release of her full-length debut Introducing Ayiesha Woods on Gotee Records (2006). Ayiesha's second album, Love Like This, was released on September 9, 2008 through the Gotee label. Produced by Chris Stevens (tobyMac, Group 1 Crew) and Jamie Moore (Mandisa, Falling Up), the album sees the songstress stretching her artistry to places once unvisited—not just musically, but also in the realm of songwriting, where she learned to create in tandem with other collaborators. Debuting at #20 on Billboard's Top Gospel Albums chart, it is an outpouring of all the love lessons Woods has been learning along the way.